The Congress will take place in the Convention Centre Dublin, Ireland's purpose built international conference and event venue situated in the very heart of Dublin city. The World Congress of Biomechanics is held once every 4 years and is the premier meeting worldwide in its field. 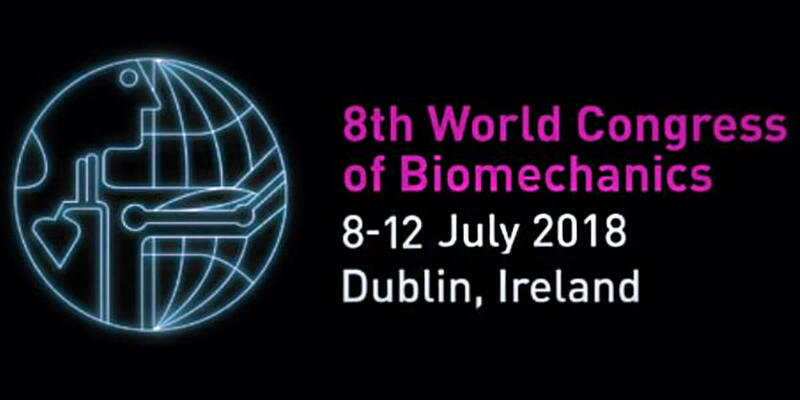 Many of the main international biomechanics societies will fold their 2018 annual meetings into the 2018 World Congress, hence you can expect to meet many of your colleagues in Dublin. The field of biomechanics sits at the interface of engineering and medicine and research in the field has revolutionised medicine, particularly in the area of medical devices. Ireland’s medical technology sector has evolved into one of the leading clusters globally. 18 of the world’s top 25 medical technology companies have a base in Ireland and 50% of the 400 medtech companies based here are indigenous. Ireland is therefore the ideal location for a congress that aims to enhance links between the clinical and academic research community and industry in the medical technology sector. Dublin is one of Europe's great cities. Its reputation for hospitality and for ensuring a fabulous welcome is legendary. Its cultural pedigree is renowned from the famous Book of Kells in Trinity College, a vibrant traditional music scene, to the fact that it has been designated as a UNESCO City of Literature with a literary heritage stretching over hundreds of years. It is also small enough to ensure that all conference events and accommodation will be just a short walk away while large enough to allow one to get lost wandering its museums, music venues, restaurants and, of course, traditional pubs.